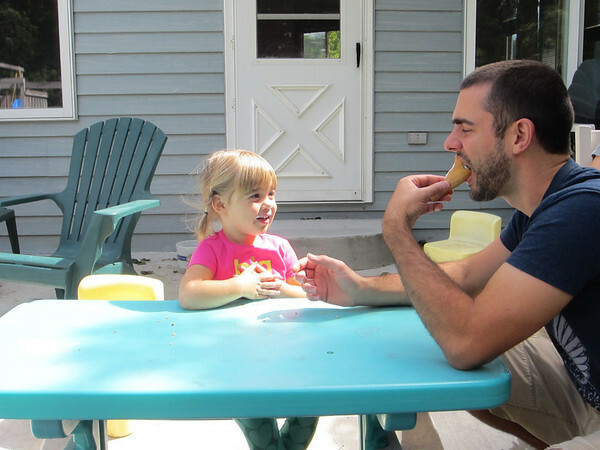 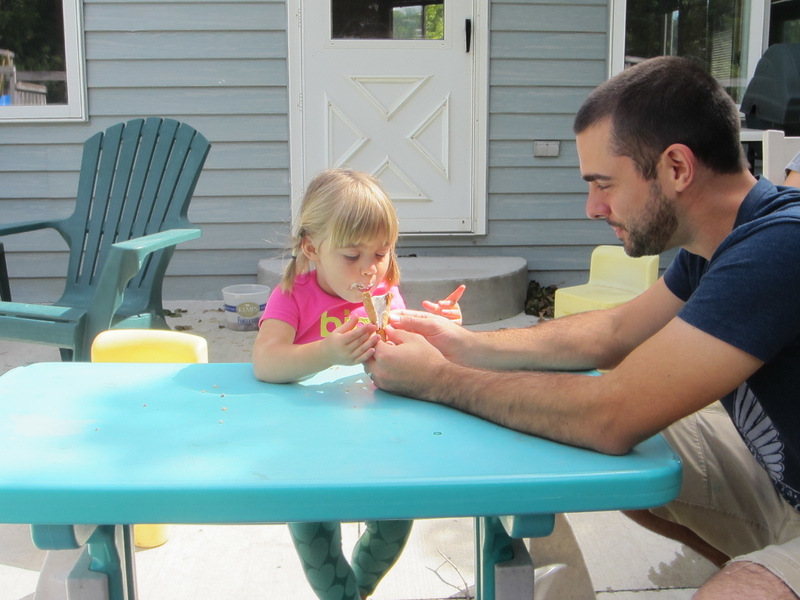 June wanted Daddy to help her by holding her ice cream cone so the ice cream wouldn’t drip on her fingers. Until he helped her by eating part of it, then she didn’t want his help anymore! 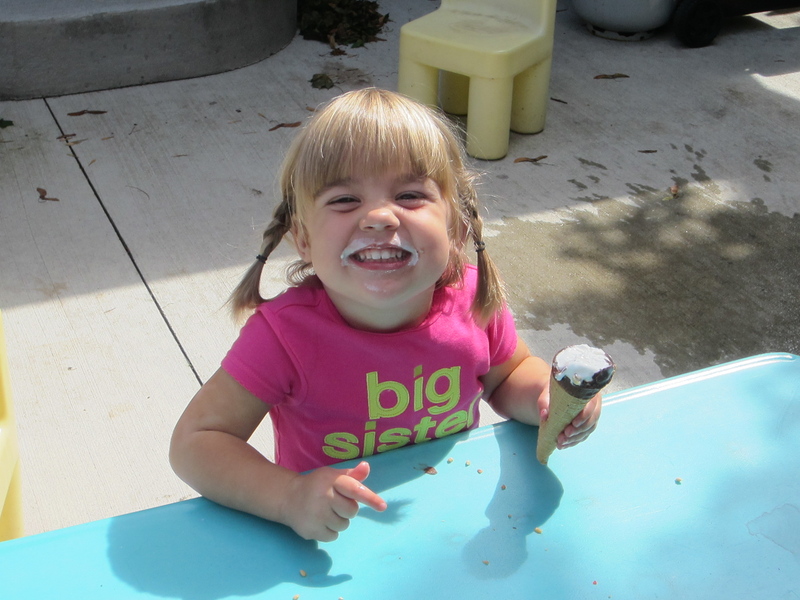 So is June wearing Jacey’s hand-me-down shirt or making an announcement?